The Church Home for Girls was opened by the Waifs and Strays Society in 1895 at 123 High Street, Lowestoft. 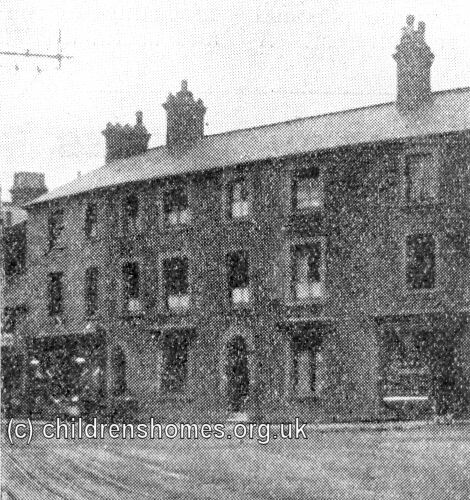 It replaced the Society's Lee Cottage home at Dickleburgh and could accommodate 26 girls, aged from 5 to 15. The formal opening took place on March 19th, 1895, with the Bishop of Thetford performing the dedication of the home. In 1903, the home was renamed the Connaught House Home for Girls. The home closed in 1915, following the expiry of the property's lease. Connaught House was eventually replaced by the Society's St Nicholas' home in Lowestoft. The home closed in 1915. The property is now in residential use.